My name is Jill and I am an egg carton hoarder. People know we have chickens, so people give us egg cartons. Lot of ’em. Which is awesome, because we do need egg cartons. But we probably don’t need hundreds… *a-hem* I guess I just have a hard time saying “no” to a good carton. 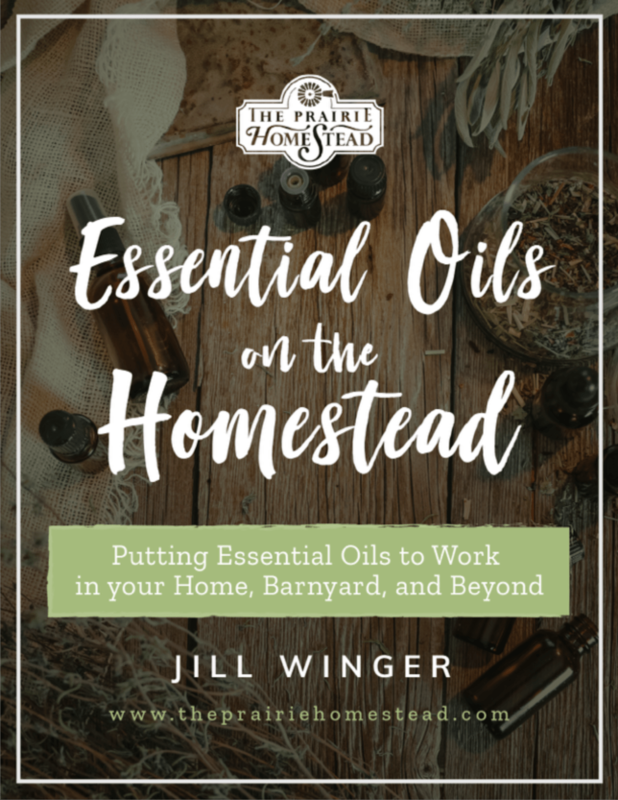 Therefore, I have a giant, precarious stack of them in my basement that falls over and whacks me in the head every time I walk by. I think I need an egg carton intervention. So it’s time it figure out some alternative ways to use them. 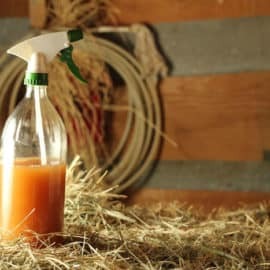 Recycling and composting are two very viable options if you are in a state of egg-carton-overflow like I am, but I’ve also found some more creative uses for those egg cartons that I think you’re gonna love. A bit of creative cutting, a strand of Christmas lights, and a dab of paint can turn a boring carton into an adorable floral lighting string. 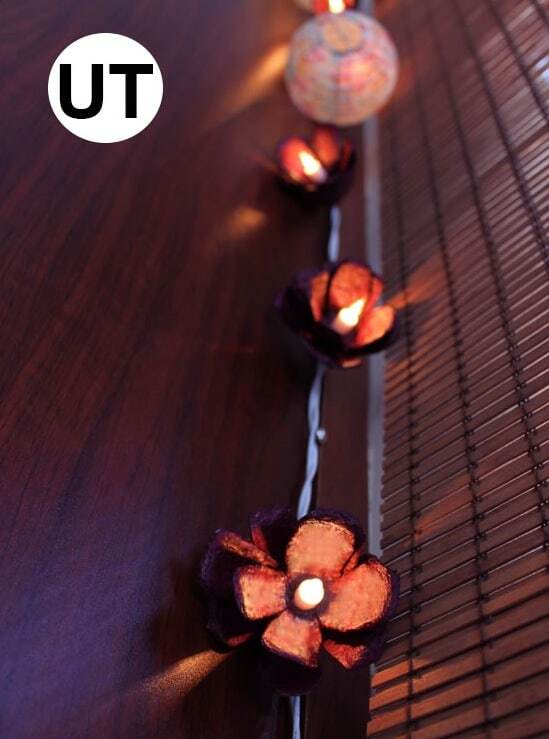 Check out this egg carton light tutorial from Upcycle That. But not if they have an egg carton hoarding problem. Then you’ll just be enabling them. The small cups are the perfect size for smaller seedlings. This post has a bunch of other ideas for frugal seed-starting systems, too. I’ll admit it… When I first heard of making wreaths out of egg cartons, I was skeptical. But after seeing this gorgeous DIY egg carton wreath, I’m totally impressed! I’ve been using cartons to store my smaller holiday decorations for several years now. They work like a charm, and save a lot of space. 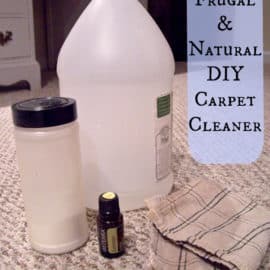 Add a bit of wax, and some dryer lint, and voila! You have a handy-dandy fire starter for camping or cold winter nights. This idea will be popular with the kiddos, or if you are needing to use several colors at once. The plastic cartons might work best for this, especially if the paint will be sitting for a while. My sister and I played mancala a TON growing up. Egg cartons make the perfect game board, and you can use beads, marbles, or dry beans for the playing pieces. This post has instructions, along with rules for the game. 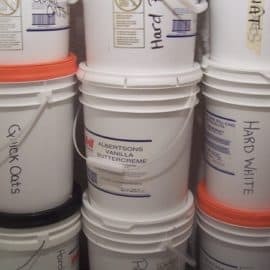 Egg cartons are the perfect way to organize “small stuff.” Use them to store jewelry, beads, office supplies, buttons, craft supplies, nuts/bolts, and more. 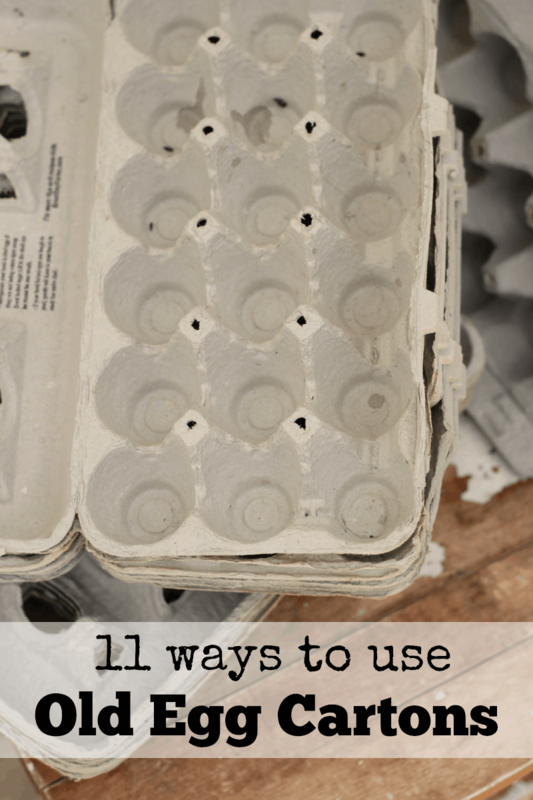 OK… I know I missed some–what are you favorite ways to use egg cartons? You are not alone in your egg carton hording. I have the same issue. I have composted them, given them away, and used them to start seeds, but I have never used them for crafts. Who knew? The fire starter is a brilliant idea. Thanks so much! Spray paint them a pretty color and fit them in a small drawer to keep earrings together and necklaces separated. Hello. My name is Jacqui, & I’m an enabler. I save them for my friends with chickens. I’ve also given some to a teacher who uses them for crafts in her classroom. One of those crafts is to cut down the center of each row of cups, & stapling the two rows to create a ring. Decorate and it becomes a crown for a birthday child (or a princess). The seed growing idea totally did not work for me. If the carton is already made in a way to be easily recyclable or biodegradable, when you water the seeds the carton turns to mush and falls apart. Hmmm… Good to know… I guess I won’t be trying that one. 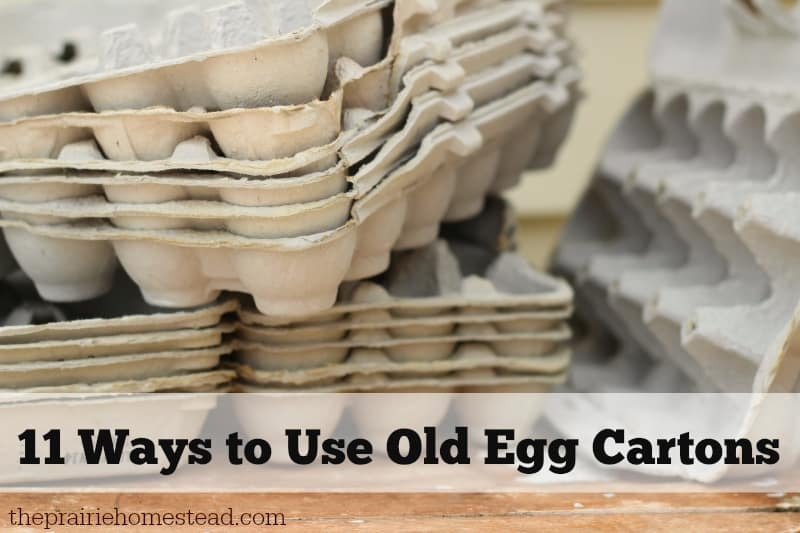 Try using the styrofoam egg cartons instead of the gray thick paper ones. Cut the lid off & use it for a tray underneath to catch the extra water. Works good for me! I teach 2nd grade, and I use egg cartons when I teach division. For example, I’ll give every student an egg carton and about 30 beans. I demonstrate that if the problem is 15 ÷ 3, they would take 15 beans and divide them into 3 cups, one bean in a cup at a time. When they finish dividing them into cups, they can see that there are 5 in each cup. It’s a great (cheap) manipulative that helps an abstract concept make sense. Great ideas! Back when I was living in Florida (late 70s) we were visiting a retirement village and I saw a large shrub on the property that appeared to be blooming, but the flowers were different colors. Turns out someone had taken those styrofoam egg cartons that came in pink, yellow & blue, cut the cells apart and stuck the branch ends through the centers. It was really pretty and clever. I’ll never forget that visual! 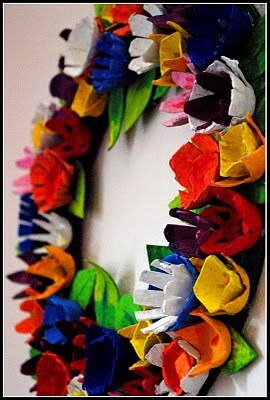 I like the wreath idea and a great craft to make with children at our Library. I use the 2 1/2 dozen sheets for hot plates-like to put it on the table and put the “oven” dinners, hot cookie sheets, etc on it. Amazingly, they hold quite a bit of weight and I use them even when I put my big soup pans on them too. For outdoor picnics, an ice cube in each bin slot to make “cooler” trays. By the time the picnic is over, the trays will be a bit soggy but the meat and cheese platters stayed cold. Brilliant! I never thought of that! The organizing one is a good idea I can’t seem to fit all my earrings in my little box but now I have a backup! I have used them for feed for day old chicks for the first few days. Worked well, it gabe the illusion that each chick had its own spot to eat from. I’m hoarding egg cartons myself. But I make paper from it. it’s handmade paper with it’s own charm to be used for cards, craft and to be stamped on, cut out or whatever is in your mind. That is AWESOME! I never thought of making paper from them! you’ll get a kind of egg carton-kind paper, light cardboard, or mix it with newspaper, it’ll make finer, thinner paper. 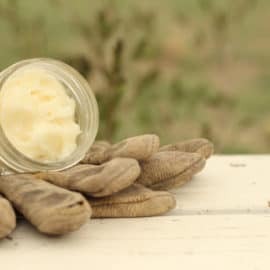 When we were kids, my brother and I used to cut the lids off of Styrofoam egg cartons and make them into boats which we would then float in the bathtub, pool or creek. We’d add a straw for a mast and make a sail, and all kinds of other stuff. I remember making miniature cannons once from cut-up straws and small Styrofoam pieces and putting them through little portholes we cut in the side of the boat. The boats float well enough to carry small plastic people and animals, too. 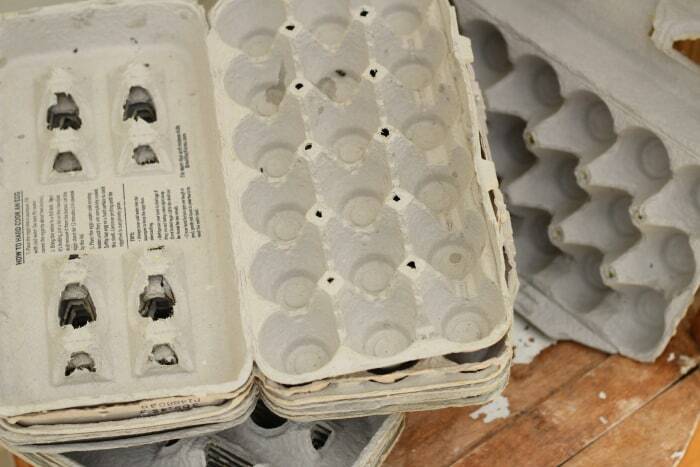 I stack a few egg cartons together and use them as seed starters – the sturdier and thicker ones. Sometimes my kids would use them for her crafting projects. Unfortunately, most will eventually be thrown away. The side the eggs sit in make great packing material when you have to ship breakable items. Place under the George Foreman as a drip tray for the excess fat. egg carton are wonderful for the compost. The critters eat the cartons and give us home made compost. I will definitely use some of these ideas. Since I don’t have an incubator to hatch chicks,I get a wash basket, place straw in the wash basket with the light, I then take the bottom half of the cardboard egg carton place the eggs in which keeps them from rolling around, I mark the tops of the eggs so I know which side is up, to be able to turn them dailey. The bottom prttion of the egg carton keeps the bottom of the eggs warm to, just like mama sitting on her eggs. If you take several medications daily, the egg carton could be used to sort them by day of the week or time of day. The egg sized cups are just the right size for quick sorting. The contents of each egg cup can then be moved easily to a more secure pill container. The sections of the secure pill container are typically too small for quick sorting. I save my egg cartons and give them to our food banks. Often they receive large trays of eggs from local farmers but have no way to pack them for the people who use the food bank. By reusing the empty egg cartons those folks who use the food banks have a way to carry a dozen home without worrying about breakage and the folks running the food banks are very grateful for that contribution.